On Wednesday June 27th a group of 22 paddlers took off from the Hjemkomst Center for the River Paddling Excursion: Aviary Expedition. Matt Mecklenburg from the Audubon of Fargo-Moorhead led the group, pointing out over 20 different species of birds by their song, flight pattern or markings throughout the two hour paddle. It was fun to see participants of all ages come together to learn about the many types of birds found along the Red such as the beautiful indigo bunting. A huge thank you goes out to Matt Mecklenburg for sharing his knowledge with the group making for a great evening. If you missed out on this excursion, don’t worry because there are others to come! Coming up on July 18th we will be hosting another excursion on the history of the Red River and its riverfront led by Mark Peihl with the Historical and Cultural Society of Clay County. Following that will be a paddling excursion on animals and habitats on August 15th led by Nicole Lee. If you are interested and want more details check out our Facebook page! If you’d rather go out on your own, take advantage of the canoe and kayak rentals located at Hjemkomst Landing before the summer ends. The rental shack is open on Tuesdays 6-8 pm, and Saturdays & Sundays from 1-6 pm. Rentals are $10/hour/vessel and will continue on from now until August 28th. River Keepers and Moorhead Parks and Recreation partner on the River Paddling Excursions and the Canoe & Kayak Rentals at Hjemkomst Landing. As the air-horn blew on Monday, June 11th, a community of 61 vessels took off to Race the Red at Dike East. Despite the rainy weather, the Race broke its previous record which stood at 52 vessels competing in the event. The vessels ranged from the typical canoe team to one participant who completed the 6 mile race on a stand up paddle board. Participants chose to go 1.5 miles, 3.5 miles, or 6 miles when they hit the water and every participant that started the race reached one of the markers. Our cowbell and emcee, Merrill Peipkorn, cheered the competitors in as they crossed the finish. Awards were given out to all those who finished first in their race and category. Two vessels competed for best decorated and after a vote on Facebook the pirate tandem kayak team #42 came out on top. Participants tested their lifeguard skills at the buoy toss game, and treated themselves to barbecue from Heavenly Hawg after racing. The night couldn’t have been made possible if it weren’t for the help from so many of our amazing volunteers including Scott Olson who was awarded our Volunteer of the Year Award prior to the start of the race. The night and all that we do could not be made possible without all of our generous and passionate volunteers like Scott! 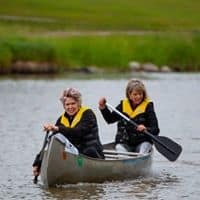 If you missed out on the Race this year, go to the Hjemkomst Landing and rent our canoes/kayaks to get a head start for next year! 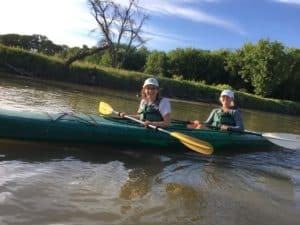 Our Red River Paddling Excursions are also offered once a month if you want to get out on the Red River with some friends, you can register with Moorhead Parks and Recreation. Our 2017 Volunteer of the Year Award was presented to Annie Woodarek. The Volunteer of the Year Award recognizes outstanding volunteer work in promoting the goals of River Keepers. Annie volunteered the last couple of years with River Keepers. Thanks to her, we finally have some really good pictures of the Catfish Cup, Celebrate Our Red, Race the Red and the Red River Water Festival. Annie has also planted trees at Reforest the Red and has gone out water quality monitoring with us. Annie does everything with commitment and a smile on her face which is much appreciated. 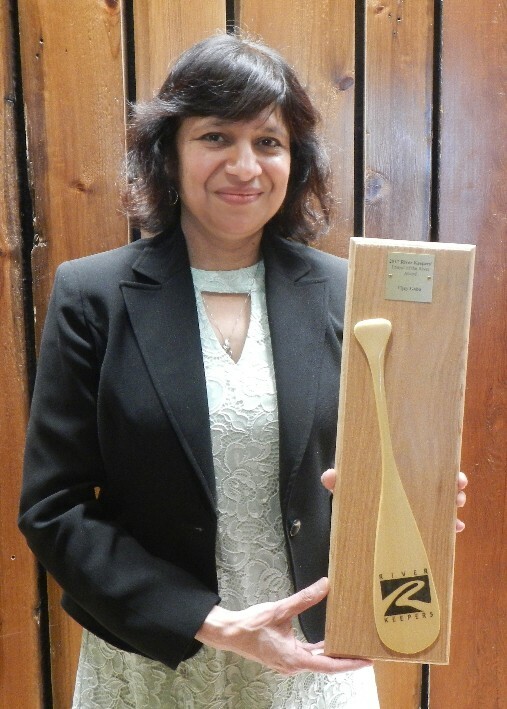 Our 2017 Friend of the River Award was presented to Vijay Gaba. His wife, Anu, accepted the award on his behalf. The Friend of the River Award recognizes outstanding leadership in the promotion of a River Keepers goal. Vijay believes in our vision that all people value our Red River as a vital part of our community. His respect for the Red is very obvious in the way that he talks about it and utilizes it. One of River Keepers goals is to “Maintain and increase appropriate recreational use of the Red River.” Vijay participates (and wins!) in our Race the Red canoe and kayak races and also the River Paddling Excursions. Another one of our goals is to “Increase public awareness of the Red River, its uses, and water related issues by disseminating accurate information and engaging in educational activities.” Vijay has volunteered at the Red River Water Festival to help educate our youth about the importance of water. Our 2017 Distinguished Service Award was presented to Jon Evert. The Distinguished Service Award recognizes individuals or organizations on their exceptional contributions or career-long commitment to River Keepers or the Red River Basin. Jon is a farmer who understands the woos of too much and too little water. He also understands water quality issues. He realizes consensus building is a process that takes time but is essential in stakeholders beginning to talk and build trust to solve water issues throughout the basin. Jon came to River Keepers Board of Directors with a long history of service to our community and the water world: The International Coalition, City of Comstock, Clay County Commission, the Red River Basin Commission, the Northwest Regional Sustainable Development Partnership, Clay-Wilkin Public Heath, Barnesville Lions and Lutheran Social Services just to name a few. We are pleased he has agreed to join River Keepers Executive Committee this next year. Jon has truly made an impact on the Red River, our community and the watershed. Our 2017 Good Neighbor Award was presented to the Greater Grand Forks Greenway. The Good Neighbor Award recognizes individuals or organizations whose property touches the Red River. Their outstanding efforts may include upkeep of River property which maintains the integrity of the River, activities which have enhanced the River or the enjoyment of the River, or any unique effort to befriend the River. Their outstanding efforts to incorporate all their vision statement into their everyday plans, makes them an exceptional neighbor to the Red River. Since we share the same river, River Keepers staff and the Greenway Specialist have learned from each other’s experiences on river and greenway related issues such as access, trails, event management, and public perceptions. For this we are grateful. Most recently, The Greenway has worked with the Boathouse on the Red to help a community group rent canoes, kayaks and stand up paddleboards. They also put in an accessible access downtown for fishing and launching vessels which is one more piece to the puzzle of making the Red River Water Trail something that everybody can enjoy. 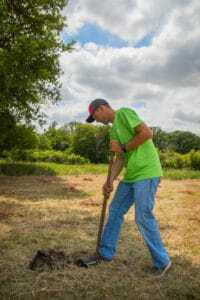 River Keepers, Cass County Soil Conservation District and Clay County Soil & Water Conservation District are ready to help people start thinking about spring by leading fun, educational and practical do it yourself workshops. Make Your Own Rain Barrel Workshops: Save money by using untreated water to water those flower and vegetable gardens while protecting the Red River’s water quality. A rain barrel is a rainwater harvesting system that is connected to a downspout from a house or building. As rainfall changes throughout the season, one rain barrel will hold about 50 gallons of water that can be used during city-imposed water bans. Some of the benefits of rain barrels include building protection by controlling moisture levels around the foundation, reduce storm water runoff by catching the water from your roof and gutters, and you’ll have happier plants since they prefer un-chlorinated, untreated water. Fee: $74.00 includes supplies ($69 for Moorhead school district residents). Cass County residents may be eligible for partial reimbursement of fee; information will be available at the conclusion of the workshop. Build Your Own Compost Tumbler Workshops: Save water, money, time and maintenance costs by using yard waste to benefit you and your soil. This workshop will cover the basics of composting and provide instruction to construct various composting systems. 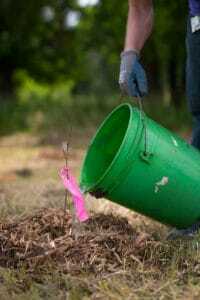 In addition, you will build and bring home a compost tumbler made from a plastic 55-gallon barrel. By tumbling this composter around the yard once or twice a week you could have a barrel full of compost by the end of the growing season. Fee: $69.00 includes supplies ($64 for Moorhead school district residents). To register for any of the workshops, contact Moorhead Community Education at www.moorheadschools.org/Schools/Alternative-Schools/Community-Education/ or by calling 218-284-3400. For more information, contact River Keepers at christine@riverkeepers.org or 701.235.2895. River Keepers is seeking nominations for our Annual Awards. See below for the nomination information and the criteria for the categories. Nominations are due Friday, February 10th. ______ The nomination is completed on these two pages. ______ I have completed the information on the first page. Please contact the individual/group to finalize the nomination. In 100 words or less, summarize the reasons your nominee should receive the award as it relates to the Award Categories description listed on the enclosed materials. Please check if you approve of this arrangement. _____ The Awards Committee may consider this candidate for another category if qualifications are met. Please reproduce this form if you are nominating more than one individual or organization. For more information, call River Keepers at 701-235‑2895 or email christine@riverkeepers.org. 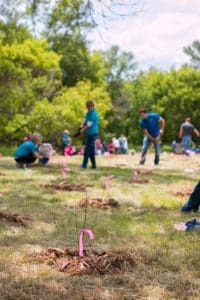 The River Keepers awards program seeks to identify and recognize individuals and organizations whose efforts enhance the Red River and its corridor through increased recreational opportunities, improved education about the resource and an improved environment. Assist in providing cultural opportunities at the River’s edge. The candidate may be either an individual or an organization from North Dakota or Minnesota. Nominations will be accepted from the general public. 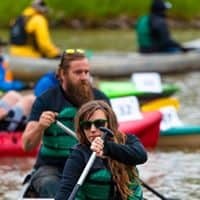 River Keepers staff or an individual self‑nomination are not eligible for awards. Please address specific activities, accomplishments and contributions that individuals or organizations have completed at any time in the past. Do not submit additional supporting materials. Candidates may be renominated each year. Previous award winners are not eligible to win an award in the same category but are eligible to win in a different category. The completed nominations must be received by Friday, February 10, 2016 at River Keepers office, 1120 28th N., Ste. B, Fargo, ND 58102. RIVER KEEPER OF THE YEAR AWARD recognizes outstanding service as a result of activities associated with the enhancement of the Red River. This individual or organization must have played a significant role in activities which have enhanced the River, increased enjoyment of the River or improved perceptions of the River. The individual or organization may also have advocated on behalf of the River or conducted any unique effort to befriend the Red River. RIVER KEEPERS EDUCATION AWARD recognizes outstanding leadership in education that has contributed to a better understanding of the water resource and the impact of the Red River on the area’s history, environment, and recreation. RIVER KEEPERS ENVIRONMENTAL AWARD recognizes outstanding leadership in protection of the River environment relative to environmental concerns, water, soils, vegetation, and wildlife. 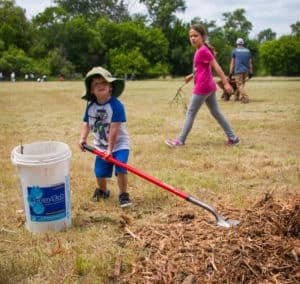 RIVER KEEPERS GOOD NEIGHBOR AWARD recognizes individuals or organizations whose property touches the Red River. Their outstanding efforts may include upkeep of River property which maintains the integrity of the River, activities which have enhanced the River or the enjoyment of the River, or any unique effort to befriend the River. RIVER KEEPERS RIVER DEVELOPMENT AWARD recognizes outstanding leadership in the creation of economic opportunities in the River corridor. The economic activities should promote the Red River while maintaining compatibility with River Keepers developmental and environmental goals. Eligible activities could include River‑related businesses, tourism, or recreational events focusing on the River. 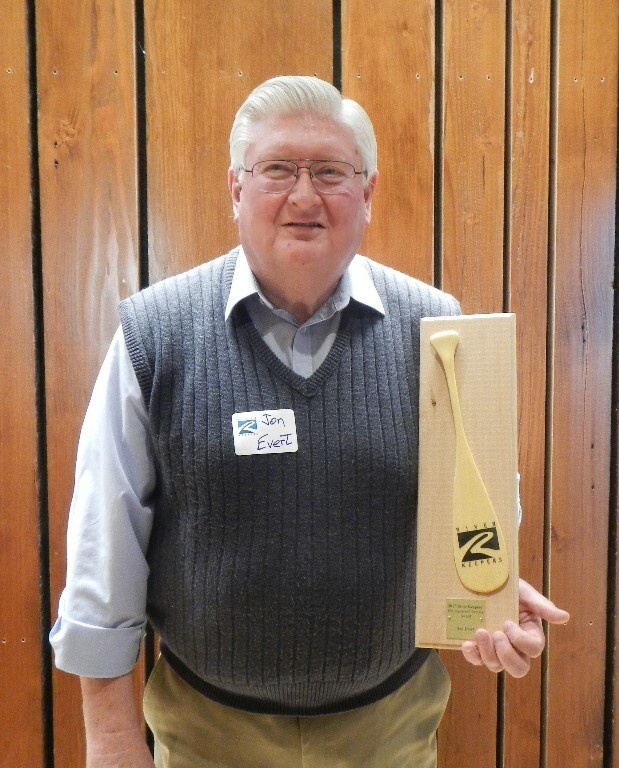 RIVER KEEPERS VOLUNTEER OF THE YEAR AWARD recognizes outstanding volunteer work in promoting the goals of River Keepers. RIVER KEEPERS FRIEND OF THE RIVER AWARD recognizes outstanding leadership in the promotion of a River Keepers goal. 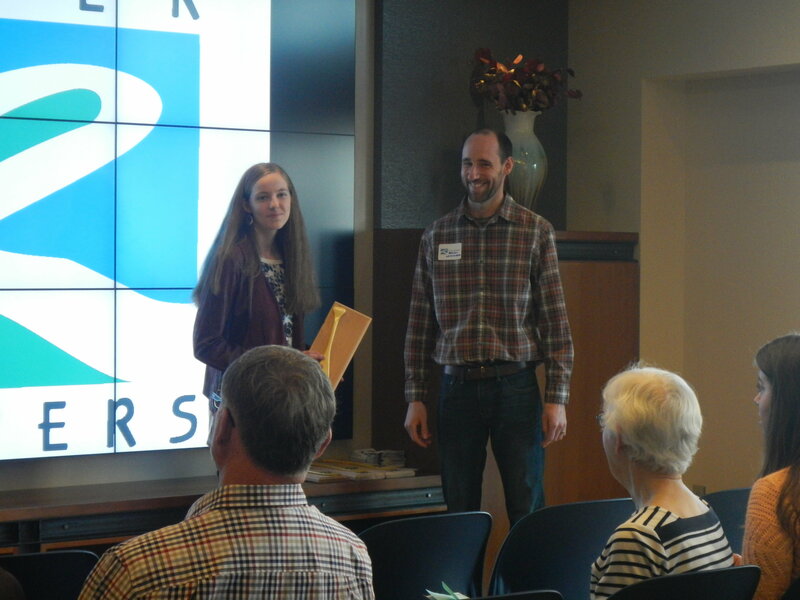 RIVER KEEPERS EMPLOYEE OF THE YEAR AWARD recognizes outstanding work efforts in promoting the goals of River Keepers. RIVER PARTNERSHIP AWARD recognizes agencies that have partnered together to promote the Red River and the goals of River Keepers. DISTINGUISHED SERVICE AWARD recognizes individuals or organizations on their exceptional contributions or career-long commitment to River Keepers or the Red River Basin. The RiverArts Fishing Clinic will be held on Tuesday, July 12 from 5:30 – 8 p.m. at Memorial Park (210 8th St. N. in Moorhead, MN). Clinic stations include: casting, knot tying, fish identification, ethics and regulations and more! Afterwards put your news skills to the test by fishing in the Red River. Fishing license not required for youth 15 and under. Participants are encouraged to bring fishing poles. This is a catch and release program. Dress for the weather. Adult supervision encouraged. Coordinated in partnership with City of Moorhead Parks and Recreation and FM Walleyes Unlimited. 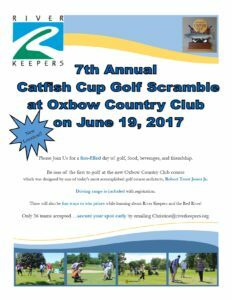 This is a fun event for golfers of all skill levels. The only requirement is that you come prepared to have fun! Competition consists of a 4-person best ball tournament that takes place at the Moorhead Country Club on June 20, 2016. Each golfer will have a chance to win one of many door prizes. There will be fun ways to win prizes while learning about River Keepers and the Red River! See the brochure for more details about registration.